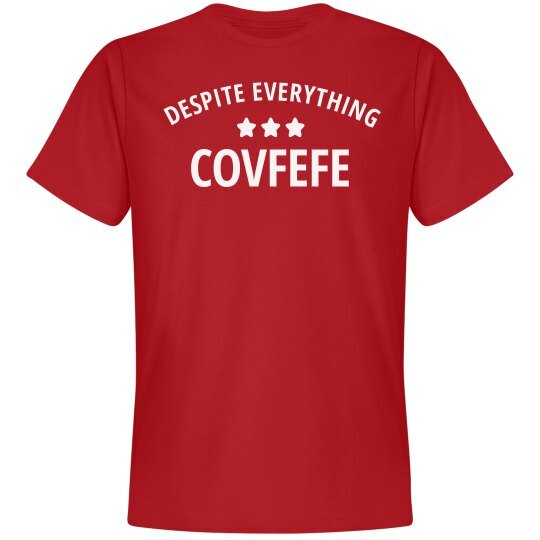 Wear this trendy covfefe shirt to show how ridiculous the president is and all you can do is laugh. What does it mean...covfefe? We have no idea! So we're just gonna go with it. Despite everything, covfefe!